Vigo is a truly beautiful place from the province of Pontevedra, in the Autonomous Community of Galicia. It is located in the northwest of Spain, and it is known as the Olivic City or the City of Olives, due to its ancient olive groves situated in the actual Santa Maria church. Also, it is one of the most populated municipalities from all over the Iberian Peninsula and the most populated non-capital city. The most recommendable option is Vigo is to have a rental car, as you will be able to visit both the whole city and its surrounding areas. You will be able to enjoy its wonderful beaches, where its natural landscape will amaze you, or discover the many towns in the surroundings, known for its incomparable beauty. Pepecar offers you a service of booking rental car in Vigo to obtain the best car at the best price. Thanks to the archeological remains in the nearby area of the city of Vigo, it is not so strange to claim that the origins of this place date back to the Paleolithic or Stone Age. This can be seen in the different dolmens located in the city. However, its golden era of this city came, in the 2nd century before Christ, with the arrival of the Roman Empire. Named by the Romans as Vicus, you can find some archeological wonders from this era as the Roman Village, the salt mines, the Necropolis or the Roman Bridge, among many other remains. Some centuries after the arrival of the Romans, the Vikings tried to occupy the city, forcing Vigo inhabitants to exile in the Christian monasteries in surrounding areas. Precisely, it was in the Middle Ages when Vigo started to extend its famous thanks for the high quality of its olive groves. During the 15th and 18th centuries, the city of Vigo became a process of expansion, above all, thanks to the commerce, the artisan activity and the fishing. The city of Vigo has suffered many different types of war along history. However, if there is something worth mentioning about its people is the resistance and opposition to conquerors. Nowadays, Vigo has become one of the most important locations all over the autonomous community. In fact, in the 20th century, the city has been rewarded because of its neatness, touristic offering, its politics, its promulgation of a high quality education, and its promotion of sports for people at any stage in their life: children, young people, adults, and elder people. Gastronomy lovers will be amazed at the astonishing culinary offer of this area. The key and basic products from Vigo are fish, meat, cheese, vegetables, seafood, Padron pepper, pies and wine. Among the wide variety of dishes cooked with fish or seafood, we recommend ordering some caldeiras of fish, baked or fried scallops, some fish a la gallega (traditional Galician way of cooking fish), oysters, mussels, common cockles and barnacles. Also, we recommend that you order some delicious Galician soup, Galician pie, game meat, filloas and fried milk (two of the most typical desserts) or “a feira” octopus. All these dishes accompanied with some coffee liquor, wine from Vigo, or, for those who love strong drinks with alcohol, orujo (liquor distilled from grape remains) and queimada (a traditional drink made with flamed orujo, sugar and lemon. Undoubtedly, this beautiful city is one of the most touristic locations in Galicia. Therefore, we recommend that you book a rental car in Vigo to be able to see astonishing places as the Old Town, the oldest part of the city where you will discover the Pedra Market or the Constitution Square. Moreover, you may want to visit the Santa Maria Co-cathedral, the Mar de Vigo Auditorium, or the many wonderful sculptures located all over the city. And, for those who love spending time at the beach, Cies Islands are located truly close to the coast of Vigo. There, you will enjoy a natural landscape to rest and discover one of the most beautiful islands from Spain. There are several ways travelers usually take to access Vigo. Therefore, Pepecar wants to give you some of the best options to enjoy this wonderful city at its finest. Also, we recommend that you book a rental car at Vigo Airport and Vigo Railway Station. From Vigo Airport: the distance between the airport and Vigo is about 15 kilometers. To quickly access the center of the city, take the road A-9. The trip will take you less than 20 minutes. From Vigo Railway Station: the distance between the railway station and the center of the city is about 1 kilometer. If there is no traffic at all, it will take you less than 5 minutes to access your desired destination with your rental car. Take the Rúa do Areal to come to the center. The third most populated from Galicia is one of the most visited touristic places from the autonomous community. 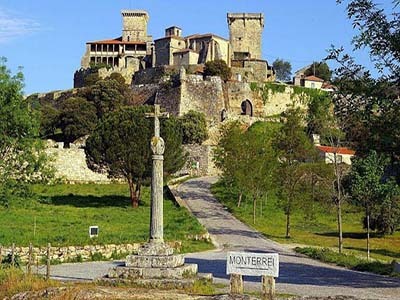 Orense is known for its roman heritage, its localization near the Minho River and its vineyards. In this wonderful city, you will be able to visit places as the Cathedral of San Martin, the Ramiro Castle, the medieval Bridge or the thermal springs of las Burgas. The distance between Vigo and Orense is about 100 kilometers. The trip will take you 1 hour and 10 minutes if you take the road A-52. 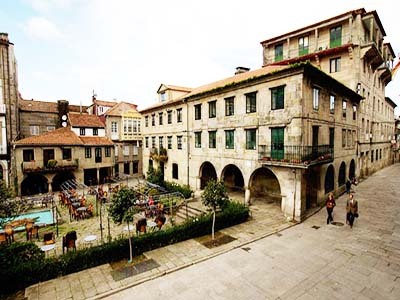 The capital of the province of Pontevedra is one of the most touristic places from the north of Spain. Also, it is one of the most beautiful and historic cities from Spain. Thanks to its localization, it is called the capital of Rías Baixas. Do not miss the opportunity to visit the Royal Basilica of Santa María la Mayor, the Fonseca House, the Mendoza small Palace or the remains of Pontevedra Walls. The distance between Vigo and Pontevedra is about 30 kilometers. Take your rental car through the road A-9 in direction to the north. The trip will take you less than 30 minutes. Here you are a list of some of the beaches you can visit in Vigo with your rental car from Pepecar. If you want to find more information or need a map to discover Vigo from end to end, simply go to any of the following tourist offices with your rental car. Here you are a list of the destinations related to Vigo where you can also book a rental car with Pepecar. Do not miss this opportunity! Use our search engine to find the rental car that best meets your needs. Pepecar will always offer you the best prices and options!